Best known as the younger brother of a Hall of Fame catcher, Archie Cochrane had a brief career as a player in Class B minor leagues during the 1930s, following an ill-fated tryout with a Class D team in 1929 that cost him his college baseball eligibility. Archie gained baseball recognition in his own right after a postwar move to Billings, Montana. In 1948 he formed the first minor-league baseball club in Billings, which played in the Pioneer League. In 1973, when he sold his Archie Cochrane Motors dealership, Archie kept its ownership baseball-related by selling to major-league pitcher Dave McNally. His father imparted three important life lessons to Archie and his siblings: “the importance of hard work, honesty, and association with the right kind of people.”5 While Archie said his father was most vocal about their associating with good kids, it was the industriousness aspect of his father’s precepts of life that was the hardest for his children to master. “Dad used to get pretty unhappy about Mike,” Archie remembered about his famous brother, whom the family always called Mike rather than his baseball name of Mickey. “He never was around when there was work to be done on the farm – always skipping out to play baseball somewhere.”6 The upshot was that Bert, the oldest son, had to do most of the farm chores until Archie was older. After graduating from Bridgewater High School in 1927, Archie attended prep school for another year of secondary education to improve his chances of getting into a top-level college. His girlfriend, Rosamond McRae, went to Emerson College that fall to study theater.9 His brother Mike arranged for Archie to attend Staunton Military Academy in Virginia, likely upon the advice of Philadelphia manager Connie Mack. The choice of a highly disciplined military school perhaps indicates that Archie needed to enhance his attitude toward hard work, one of his father’s triad of important personal traits. It may have been a blessing in disguise for Archie not to play college baseball, as a dozen baseball players at Duke flunked out after the spring semester in 1931.29 Duke, a liberal-arts college, had a difficult time balancing top-notch education with top-notch athletic teams. After Archie graduated from Duke in the spring of 1933, his liberal-arts education served him well in the business world, to more than compensate for not playing college baseball. When player-manager Mickey Cochrane led the Detroit Tigers to the American League pennant in 1934, Archie’s trip to Detroit that fall to watch his brother in the World Series changed his life.35 When he saw how admired his brother was in Detroit, Archie and his family soon relocated to the city. In 1935 Archie was the player-coach for the Ford V-8s, a semipro team sponsored by local Ford dealers.36 Following this last fling as a ballplayer, Archie settled down in suburban Dearborn and worked in the sales division at Ford Motor Company headquarters.37 Roz gave birth to three more children (Martha, Rosalind and Kathleen) while she and Archie lived in Dearborn.38 When the Tigers repeated as American League champions in 1935 and then won the World Series, his brother Mike became an even more famous celebrity. It is unclear how much time Archie spent at Mike’s ranch, before or during World War II, but during the war Archie clearly became interested in establishing an automotive dealership in Billings. While there no doubt would be a huge postwar buyer demand for new cars, as all three major American car manufacturers shut down production during the war, more important to the timing of the purchase of a dealership was Archie’s insight into anticipated changes within the executive management of the Ford Motor Company. Early in 1945, Archie wrote to Mike at his overseas duty station to ask for a loan to purchase a Ford dealership to be located in Billings.46 In the spring of 1945, with the loan from his brother, Archie got in on the ground floor of the postwar rebuilding of the Ford Motor Company (with Henry Ford II named president in September 1945) when he purchased a dealership franchise for Billings, which he named Archie Cochrane Motors.47 After Henry Ford II reorganized the company, hired new executives from outside the company, and improved its automobile products, sales of Ford cars across the country doubled between 1947 and 1949, which led to an “avalanche of applications for franchises,” at 25 times the number of available dealerships.48 Archie’s timing to secure a Ford dealership in 1945 had been impeccable. Archie was president of the Billings Mustangs for the club’s first two seasons. In 1948 the Mustangs finished in last place, but the Billings community supported the team nonetheless with the second-best attendance in the league. As a Brooklyn Dodgers farm club in 1949, the Mustangs finished in second place and led the league in attendance. Archie stepped down as president after the 1949 season, but remained on the board of directors of the ballclub. In 1968, after serving four years on a local school board, Archie successfully ran for a Montana State Senate seat, telling voters that his “background in the free enterprise system will bring some measure of good judgment in making decisions that affect the people of Yellowstone County.”59 He served six years as a state senator before stepping down in 1974. In December 1973 Archie retired from business, when he sold Archie Cochrane Motors to Jim McNally and his brother Dave McNally, a pitcher with the Baltimore Orioles.60 Interestingly, Archie and Dave were both left-handed pitchers. Both men made long-term commitments. Archie said he’d be available for consultation for five years and Dave said he would not be involved in running the business for many years until he retired from baseball. Both had to retract their words in 1975, when Archie experienced health issues and Dave prematurely retired. In 1974 Archie suffered a brain aneurysm, or stroke. “He had a pain in the back of his head – a sharp pain,” said his wife, Roz. “He told me about having the headache during the day, then that night he was leaning over to poke the fire and we knew it was more than a headache.”61 Since his body was partially paralyzed, Archie spent months in rehabilitation learning to regain use of his muscles. He then went to live in California for the warmer climate to increase his mobility. While the publicity over free agency would surely have been good for business, that’s not what Dave had in mind. The McNally brothers never changed the name of the business to leverage Dave’s fame as a ballplayer. “He’d come in and have coffee with the mechanics or come into the office and joke with the employees,” remembered longtime employee Gary Brayko, who became a part-owner following Dave’s death in 2002. “You wouldn’t even know he was a baseball superstar unless he told you.”64 In 2017, Archie Cochrane Motors remained a thriving automobile dealership in Billings. 1 Birth records for Bridgewater for 1910 at the Massachusetts State Archives (Volume 592, Page 139). 2 Federal census record for 1910 for 188 Union Street, Bridgewater, Plymouth County, Massachusetts. 3 Charlie Bevis, Mickey Cochrane: A Biography of the Baseball Hall of Fame Catcher (Jefferson, North Carolina: McFarland, 1998), 12. 4 Federal census record for 1920 for 299 Pleasant Street, Bridgewater, Plymouth County, Massachusetts. 5 Addison Bragg, “John Cochrane, 90, Both Busy and Happy,” Billings Gazette, May 19, 1960. 7 Ford Sawyer, “From Boston University to Big League: Cochrane’s Folks in Bridgewater Were Not Enthused at Baseball Career,” Boston Globe, December 28, 1924. 8 “Bridgewater Is Victor,” Boston Globe, June 8, 1927; “Bridgewater, 19-0 Win, Cochrane Family Aids,” Boston Globe, November 6, 1925. 9 Obituary of Rosamond Cochrane, Billings Gazette, May 3, 2009. 10 Staunton 1928 yearbook, Staunton Military Academy website. 11 Barry Goldwater, Goldwater (New York: Doubleday, 1988), 51-55. 12 Staunton 1929 yearbook, Staunton Military Academy website. 13 Norman Macht, Connie Mack: The Turbulent and Triumphant Years, 1915-1931 (Lincoln: University of Nebraska Press, 2012), 513. 14 “Cochrane’s Brother Joins Martinsburg,” Hanover (Pennsylvania) Evening Sun, June 5, 1929. 15 Bevis, Mickey Cochrane, 30-31. 16 “Cochrane’s Brother Joins Martinsburg,” Cumberland (Maryland) Evening Times, June 5, 1929. 17 “Blue Sox Win With Yankees,” Hagerstown (Maryland) Daily Mail, June 7, 1929. 18 “Wells’ Charges Bestow First Victory on Sox,” Frederick (Maryland) News Post, June 8, 1929. 19 “Gilbert Hurls Great Ball to Defeat Martinsburg,” Hagerstown (Maryland) Morning Herald, June 12, 1929. 20 “Martinsburg Gets New Outfielder,” Hagerstown (Maryland) Daily Mail, June 15, 1929. 21 John Tierney, Jack Coombs: A Life in Baseball (Jefferson, North Carolina: McFarland, 2008), 153. 22 “Relatives of A’s in Duke Sports,” Ogden (Utah) Standard Examiner, September 30, 1929. 23 “Hopes to Emulate Famous Brother,” North Adams (Massachusetts) Transcript, October 28, 1929. 24 Duke University 1933 yearbook, ancestry.com website. 25 “Southern Conference Bars Archie Cochrane,” Boston Globe, March 6, 1931; “Young Cochrane Is Found Ineligible; Was Duke Athlete,” Gastonia (North Carolina) Daily Gazette, March 4, 1931. 26 Duke University 1933 yearbook, ancestry.com website. 27 Archie played in the Boston Twilight League in 1931 (“Lauriers Meet Pittsburgh Hoboes Tomorrow Night,” Lowell Sun, July 23, 1931). 28 “Durham Offers ‘Little Brother’ Act,” The Sporting News, April 27, 1933. 29 Robert Durden, The Launching of Duke University, 1924-1949 (Durham: Duke University Press, 1993), 213. 30 “Locals Wallop Nashua Twice Sunday,” Lowell Sun, July 3, 1933; “New England League,” The Sporting News, July 6, 1933. 31 Obituary of Rae Cochrane McNeil, Billings Gazette, March 3, 2013. 32 “New Home Club Hit With Fans,” Lowell Sun, May 18, 1934. 33 Norm Clarke, “Cochrane Named Greatest Catcher of All Time,” Billings Gazette, July 24, 1969. 34 “Northeastern League Batting Records,” Lowell Sun, June 2, 1934. 35 “Home Town Folks Strong for ‘Kid,’” Boston Globe, October 3, 1934; “Bridgewater Series Mad,” Lowell Sun, October 4, 1934. 36 “Cochrane’s Brother to Play in Detroit,” Salt Lake Tribune, March 13, 1935; “Caught on the Fly,” The Sporting News, March 21, 1935. 37 Dearborn City Directory, 1943; federal census record for 1940 for 22726 Alexandrine Street, Dearborn, Wayne County, Michigan. 38 Obituary of Rosamond Cochrane. 39 “Cochrane Off on Bear Hunt,” New York Times, October 11, 1935. 40 “Six Baseball Dignitaries Arrive in Billings for Antelope Hunt,” Billings Gazette, October 6, 1936. 41 “Tales of the Town,” Billings Gazette, January 9, 1938; 4K Ranch website (the4kranch.com). 42 “Cochrane Denies Job in Boston,” Billings Gazette, August 26, 1938. 43 Bevis, Mickey Cochrane, 158. 44 Victor Lasky, Never Complain, Never Explain: The Story of Henry Ford II (New York: Richard Marek Publishers, 1981), 65-66. 45 Thomas Dicke, “From Agent to Dealer: The Ford Motor Company, 1903-1956,” in Franchising in America: The Development of a Business Method, 1840-1980 (Chapel Hill: University of North Carolina Press, 1992), 80. 46 Bevis, Mickey Cochrane, 165-166. 47 Archie was in Billings in April 1945 to coach the city’s American Legion baseball team (“Archie Cochrane Appointed Head Coach,” Billings Gazette, April 29, 1945). Newspaper ads for Archie Cochrane Motors appeared by May 1945 and escalated in October 1945 when Ford unveiled its 1946 car. 48 Allan Nevins and Frank Hill, Ford: Decline and Rebirth 1933-1962 (New York: Charles Scribner’s Sons, 1962), 342. 49 “Cochrane and Cooke Are Named Officers of New Corporation,” Billings Gazette, November 5, 1947. 50 Don Jewell, “Celebrity-Backed Billings Club Ready for O.B. Bow as Pioneer League Entry,” The Sporting News, January 14, 1948. 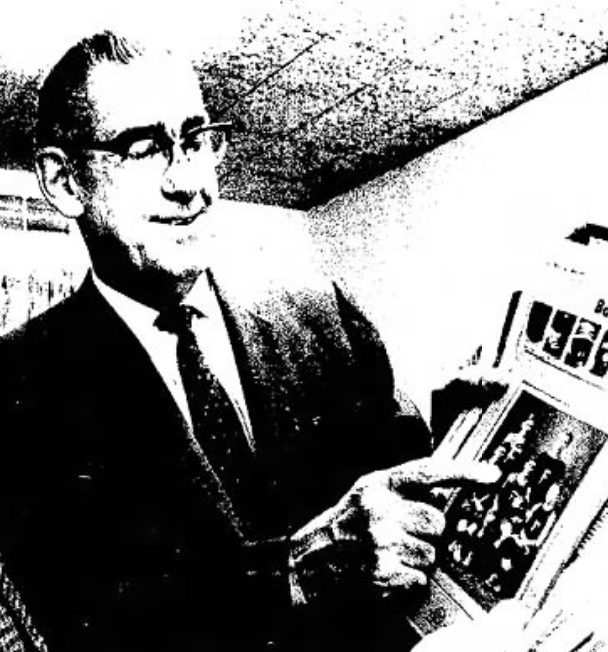 51 “Archie Cochrane Again Named Mustangs President,” Billings Gazette, January 12, 1956. 52 “All-Star Contest Planned for Saturday,” Billings Gazette, July 11, 1956. 53 Roy Anderson, “Coach Bayne Booms Billings as Repeater,” The Sporting News, July 22, 1959. 54 Billings City Directory, 1954. 56 “Mustangs Directors Elect Paul Hurwitz Baseball Club President,” Billings Gazette, December 17, 1958. 57 “29-Minute Hop,” Billings Gazette, February 11, 1962. 58 “Cochrane Heads County Citizens for Goldwater,” Billings Gazette, September 5, 1964. 59 “Archie Cochrane Senate Candidate,” Billings Gazette, April 24, 1968; “Gerke Top Vote-Getter,” Billings Gazette, November 6, 1968. 60 “Dave, Jim McNally Buy Cochrane Motors,” Billings Gazette, December 23, 1973. 61 Christene Meyers, “Survival: They Played the Game of Life,” Billings Gazette, February 29, 1976. 62 “McNally’s Home to Stay,” Montana Standard, August 19, 1975. 63 Mark Armour and Daniel Levitt, In Pursuit of Pennants: Baseball Operations from Deadball to Moneyball (Lincoln: University of Nebraska Press, 2015), 274, 289. 64 “McNally Retired from Baseball to Billings,” Billings Gazette, December 1, 2002. 65 “Archie Cochrane Found Dead in Bath,” Billings Gazette, January 30, 1977. 66 Yellowstone County Courthouse cemetery records. Cochrane is buried in Section 9, Block 112.